Plex is a program that runs on many devices and operating system that allows for video sharing. The application streams video content across multiple devices. Once you set up Plex on your computer and have your computer attached to your media library, and soon you'll be able to access your videos, music, and even photos from anywhere. Plex is especially skilled at playing content on local network devices, like smart TV boxes like the Apple TV. Plex works best on the fourth generation of Apple TV, but with a little blood, sweat, and tears (okay just a little nerdery), you can get Plex working on a third-generation Apple TV. Third-generation Apple TVs and earlier do not ship with the Plex app, and additional apps cannot be installed on the device. However, those willing to do a little software hacking should be able to get Plex to run on their older Apple TV. We can use the PlexConnect workaround to run Plex on a third-generation Apple TV, but it is a little challenging to get it running. If you have a fourth-generation or newer Apple TV, you'll be able to use the tvOS App Store to download the Plex app for Apple TV. It's not easy to tell apart the two Apple TVs at a glance. Both are small black boxes with rounded edges. The fourth-generation Apple TV comes with the black touch-sensitive Siri remote and was released in 2015. The third-generation Apple TV comes with a silver remote with a control wheel and was released in 2012. If you're having a hard time sorting out which is which, use Apple's guide to identifying your Apple TV. When compared with the procedure for installing Plex on a third-generation Apple TV, the process for a fourth-generation and later Apple TV is comically simple. Open the App Store app on your Apple TV. Search for the Plex app and download it to your Apple TV. Open the Plex app. Follow the instructions on the screen to connect to your Plex account using the provided link and four-digit code. Select your Plex server from the list and start streaming content. The installation procedure for the third-generation Apple TV is far from simple. Read the installation process from start to finish before beginning to gauge your comfort level with each step. It requires configuring your host device (PC or Mac), your network, and your Apple TV. We'll be using Python scripts to duplicate an existing Apple TV application then trick it into playing Plex's content. It's a clever workaround, but it's not plug-and-play. Make sure you have Python 2.7.x installed on the machine that runs your Plex server. Python 3 will not work. If you're running a Mac, it comes with Python 2.7 installed. On Windows, download and install Python 2.7.15 or later. Set a static IP address for both your Plex Media Server device and your Apple TV. The easiest way to do this is through DCHP reservations on your router. You'll also want the latest version of Plex Media Server installed on your server device. You can update Plex Media Server through the update page on your Plex server. Once everything is ready, we will need to install the PlexConnect client on your server machine. Broadly, you'll need to download PlexConnect, get a security certificate for it, and launch the daemon. Download and unzip the PlexConnect archive from GitHub. Move the PlexConnect folder to /Applications/ on your Mac. Create and install an SSL certificate for your Apple TV. It's a multi-step process, so follow this guide on creating SSL certificates for the Apple TV to set it up. Download and unzip the PlexConnect files. Move the PlexConnect folder to the Program Files folder. Use C:\Program Files (x86) if exists or C:\Program Files otherwise. Generate the SSL certificate by following this guide to creating Windows SSL certificates. Open the PlexConnect folder in Explorer and double-click on the PlexConnect.py file to launch it. When asked to approve the application by UAC, click Allow Access. Now that we have PlexConnect running on our server, it's time to configure the Apple TV. The DNS settings need to be changed to point at your PlexConnect machine. If your Apple TV is connected over Wi-Fi, navigate to Settings > General > Network > Wi-Fi. Select your Wi-Fi network's name from the menu. If your Apple TV is connected over Ethernet, navigate to Settings > General > Network > Ethernet. Change the DNS settings from Automatic to Manual. Enter your Plex server's IP address, which you set up earlier using DHCP reservations. If you don't recall the IP address, you can find it in your router configuration. The SSL certificate will allow your Plex server and your Apple TV to communicate over HTTPS. While this is a more secure protocol than HTTP, that's not the primary concern. 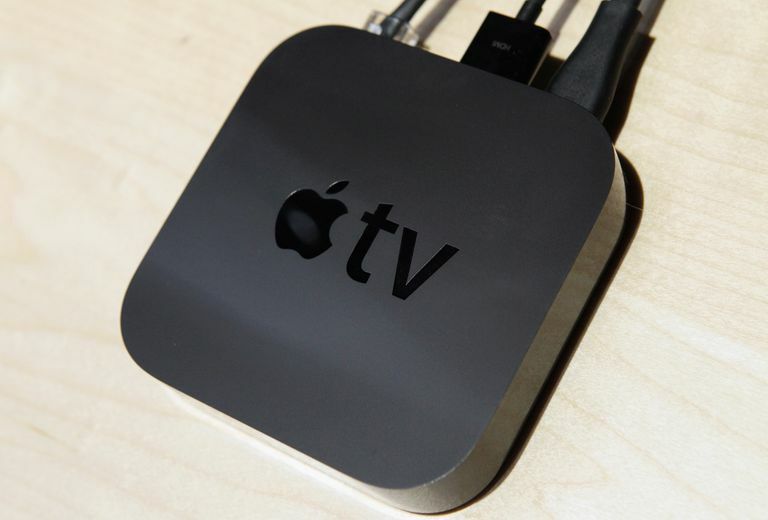 Apple TVs will no longer communicate over unencrypted HTTP connections, so an SSL certificate is required. Navigate to the Apple TV's Settings menu. Select General > Send Data to Apple and choose No. With Send Data To Apple still selected, press the Play button (not the normal Select button) on your remote. This will start the process of adding a profile to your Apple TV. In the dialog box, enter http://trailers.apple.com/trailers.cer exactly. With Plex Connect running on your server, you can now access Plex on your Apple TV. Open the Trailers app on your Apple TV and you'll be connected to the Plex application. By default, you'll need to manually launch PlexConnect.py every time your server restarts. If you want to make it run at startup either as a daemon on macOS or a service on Windows, that's possible. Follow the instructions below. To run PlexConnect.py as a service on startup, you'll need to install PyWin32. This extension of the Windows operating system allows Python scripts to be called without user input, among other things. PyWin32 can be installed by either download from Github and building from source, or through pip. If you are running Python 2.7.9 or later, pip will have been automatically installed with Python. To install PyWin32 with pip, run the following command in a CMD window. If you do not have pip installed, you should update your version of Python to a more modern version. If you cannot update your version of Python, you can build the utility from source following the instructions on PyWin32's Github page. Pip can also be installed separately. With PyWin32 up and running, we are ready to configure PlexConnect.py as a service. First, make sure PlexConnect is not currently running. If there is a CMD window running PlexConnect, use the Ctrl + C keyboard shortcut to shut it down. Open the PlexConnect directory in your Program Files folder and navigate to the Support\Win folder. There you will find four bat files that can be used to install and uninstall PlexConnect as a service, as well as start and stop the service once it is installed. Run the install.bat file to install PlexConnect.py as a service. If PlexConnect is running, quit it by selecting its Terminal window and pressing the Ctrl + C keyboard shortcut. These commands will load PlexConnect.py as a launch daemon, which will start each time your Mac boots up. If you run into trouble while installing Plex on your third-generation Apple TV, your best bet is to check out PlexConnect's documentation on Github. You can also try the Plex forums for problems not covered by the install documentation.